The Government of Grenada has paid Microsoft US$800,000 to resolve a ‘piracy problem,’ which was identified more than 10 years ago because of Government’s use of illegal programmes to conduct official Government communication. “The programmes we use on our computers, on our servers — the Word programme, the Excel programme — these were not genuine Microsoft programmes…they were pirated and so the government had a problem. We were approached by Microsoft; we were threatened 10 years ago, but now we are happy to report that we have solved the problem,” said ICT Minister Gregory Bowen. He explained in an interview after he made the disclosure to the Parliament on Wednesday, that Government is working with an agent of Microsoft who has decided to accept monthly payments from Grenada until the bill is completely paid. “We are working with an agent of Microsoft who has paid out from their end the total sum to Microsoft; they are a legitimate agent of Microsoft and so we can now access the legitimate programmes,” Bowen said. “This will allow us to use our gov.gd in a secure manner without problems.” He explained that the use of the pirated programmes was creating serious problems when persons were using the official government gov.gd email address, and as a result most persons were conducted official government business using private email addresses. 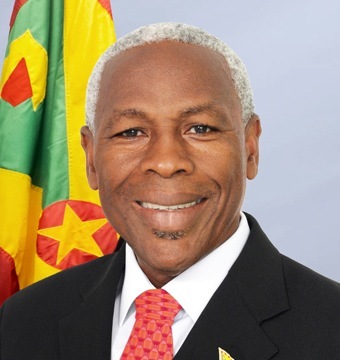 “Now that we have solved this, we will see Grenada having many benefits accrue,” and pointed out that one of the many benefits will be to students at government educational institutions, because all government servers will have legitimate programmes. Microsoft is a USA technology corporation that focuses on the development and implementation of software used on computers and on the world wide web. The company’s Microsoft windows operations system is the most widely used operating system in the world. Over the years the USA Special 301 report, which puts together by the US Trade Office has expressed concerns about the high level of piracy affecting USA innovators, inventors and creators throughout the world. The 2017 Special 301 Report underscores the administration’s key trade priority of ensuring that US owners of intellectual property (IP) have full and fair opportunity to use and profit from their IP around the globe. The theft of IP has resulted in distorted markets and unfair trade practices that harm American workers, innovators, service providers, and small and large businesses. The administration is committed to using all possible sources of leverage to encourage other countries to open their markets to US exports of goods and services and provide adequate and effective protection and enforcement of US IP rights. According to the report, in 2016, the United States continued to engage with members of the CARICOM on concerns regarding inadequate and ineffective copyright protection and enforcement. Heightened engagement on this regional basis was led by the regional IP attaché and this has resulted in tangible improvements in recent years.